Purolator wants to save you time this holiday by setting up Mobile Quick Stops in four of Canada's urban cities - Toronto, Ottawa, Montreal and Vancouver. 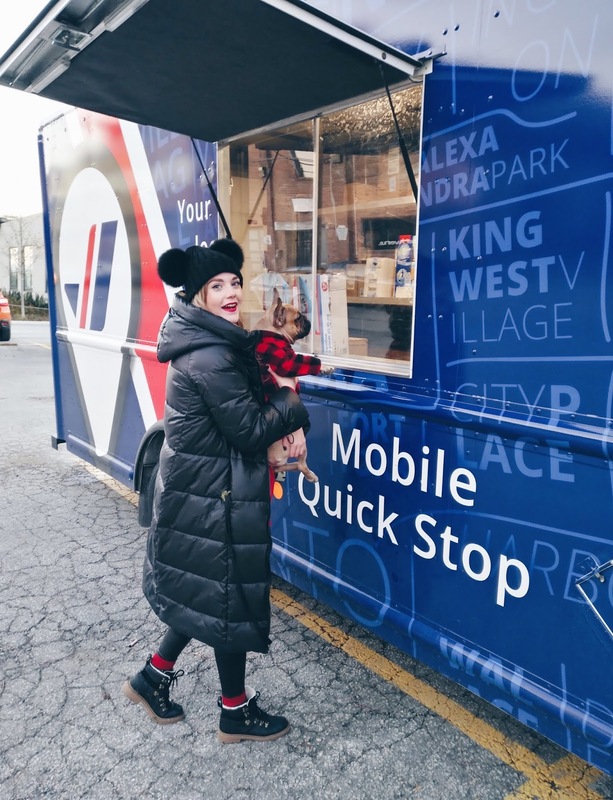 I was ecstatic when I heard they were setting up several locations in Toronto, because this makes it way more convenient when I need to pick up my packages. We've all been through the annoying process when you miss a package and left with a door knocker. This means you have to pick your package up at a different location. 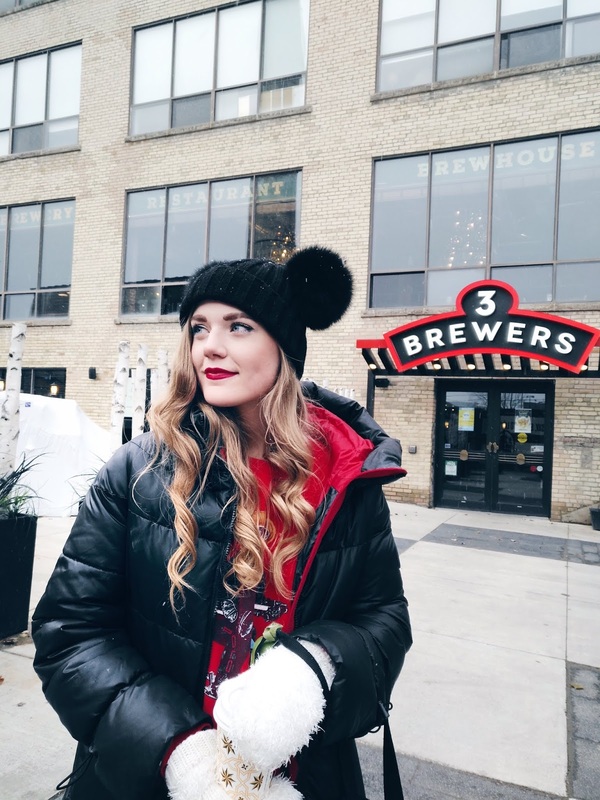 When you live downtown the usual facilities are not always close by or in a convenient location. I either have to drive somewhere or pay to commute to a specific pickup facility. This year I'm so happy Purolator has a Mobile Quick Stop in Liberty Village. Gary's favourite dog park is very close by so on my way back from the dog park, I head to the mobile quick stop to grab my parcel. 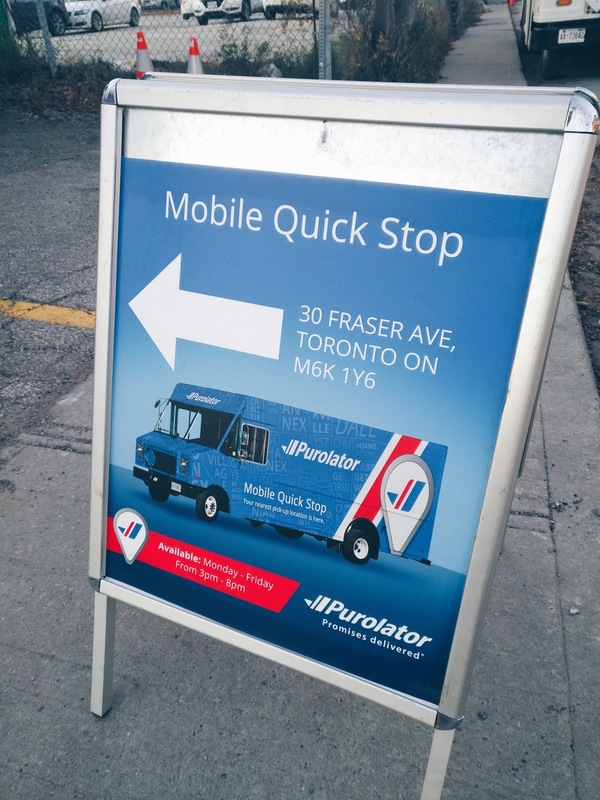 Purolator Mobile Quick Stop will be available now until December 28, 2018. 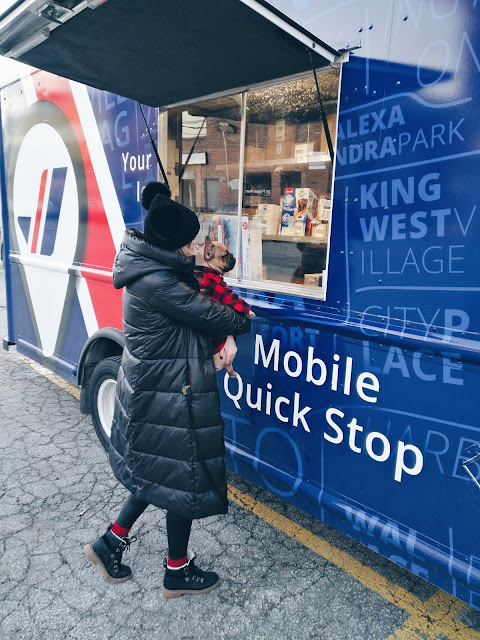 Service will operate Monday - Friday 3pm-8pm in Liberty Village - 30 Fraser Ave.
Before or after heading to the Purolator Mobile Pick Up make sure you explore this beautiful neighbourhood. Liberty Village is so quaint and adorable and one of the best neighbourhoods in Toronto. When I'm out and about with Gary I've listed below some of my favourite spots. 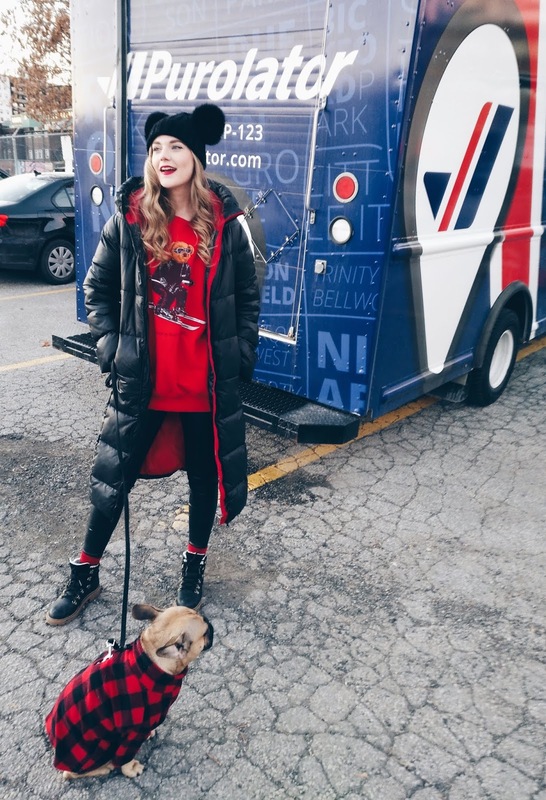 The best dog park in the neighbourhood is Stanley Off Leash Dog Park located at 700 Wellington St W. It is one of the biggest parks around and there are always tons of dogs for Gary to play with. Gary loves it and the surrounding park is beautiful. 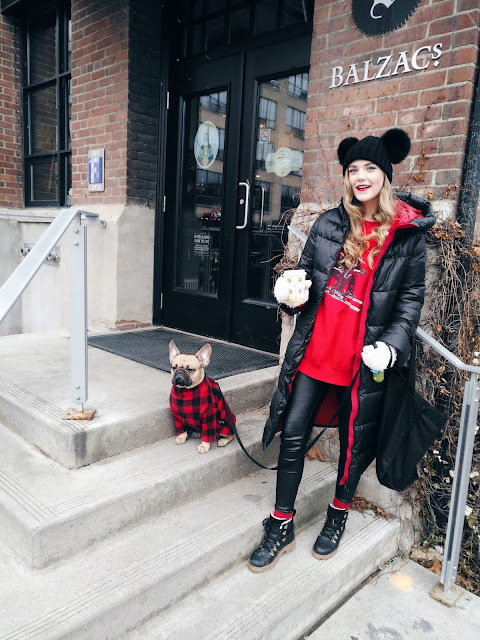 I always love heading to Balzac's Coffee in Liberty Village because it has great coffee in the most beautiful building located at 43 Hanna Ave.
3 Brewers Liberty is another great spot. On a chilly night there is nothing better than heading to a cozy pub, eating comfort food and drinking beer right from the brewery. Located at 2 Liberty St. If you are looking to be a bit more active, Pure Yoga or Joe Rockhead's Indoor Rock Climbing are great places to visit in Liberty. 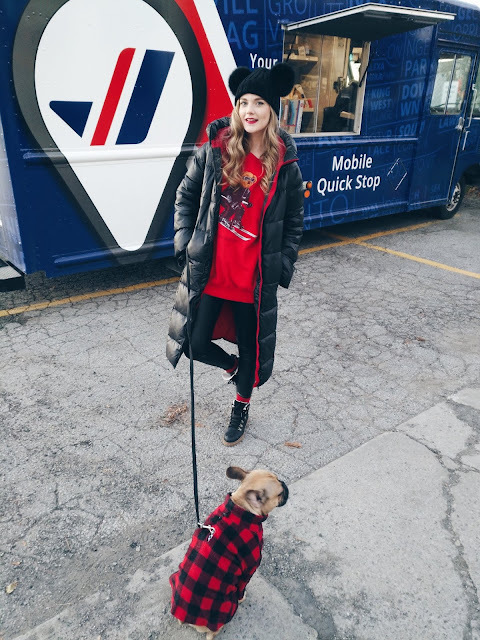 Incase the Purolator Mobile Quick Stop is not in walking distance for you or you need to head home with a large package, Purolator has partnered with Lyft in the GTA. You can receive $5 off up to four rides to or from Purolator's Mobile Quick Stop with promotional code PUROLATOR now until December 31st. I hope this helps save some time for you this holiday because the last thing you need to worry about is making sure you can get your packages in time for the big day! !